Jan Barrymore is a Licensed Professional Counselor with seventeen years of experience in the counseling field. 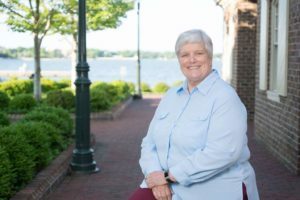 A resident of Williamsburg, VA for twenty-two years, Jan graduated from William and Mary in 1997 and received a M.Ed. in Community Counseling. Jan’s experience includes work with adolescents and adults with anger problems, depression, anxiety, self esteem, history of physical/sexual abuse and others. She has nine years of experience as an Emergency Services Counselor and works very well with people in crisis. As a military retiree, she possess the unique ability to understand military personnel and their families. She is also experienced with providing services to the LGBTQ population. In addition to Jan’s exceptional career in counseling, she has also learned self-compassion related to her own wellness journey. Actively working through her own lifestyle change, Jan has a unique perspective for her patients related to overcoming food-related issues.